Serious study of corporate governance is relatively new. Early books on the work of directors and boards date back no more than forty years and the subject only acquired its title in the mid 1980s. Throughout the 20th century, the focus of attention was not on corporate governance but on management. Marketing, production, finance, operations research, and management information systems were at the forefront of interest. Organizational studies forged ahead, but the board of directors seldom appeared on the organization chart. Now corporate governance has become the focus for the 21st. century. True, the US Securities and Exchange Commission had existed since 1934, promoting sound corporate regulation and reporting practices. But that was before the collapse of Enron, the world-wide implosion of Arthur Andersen, and the sub-prime financial catastrophe. Corporate scandal and collapse in the 1980s led to the first corporate governance code: the UK’s Cadbury Report. This seminal work soon led to codes in other countries around the world. These codes, however, tended to concentrate on form rather than function, emphasizing the importance of independent outside directors, the need for audit, remuneration, and nomination committees of the board, and the separation of the role of the board chairman from the CEO. More recently, enterprise risk assessment, and corporate social responsibility have been added to the lexicon. Corporate governance reports were required confirming that public companies had complied with the code or, if not, explaining why. With the emphasis on structure, little concern was shown for the process of corporate governance: what actual goes on inside the board room, the leadership style of the chairman, internal political manoeuvres, and directors’ inter-personal behaviour when strong personalities meet. Corporate governance is about the way power is exercised over corporate entities. It involves the behaviour of boards and their directors, the interaction between the governing body and management, the company’s links with its shareholders and other players in the stock market, and the relations between the company and its many stakeholders. It involves strategy formulation and policy making on the one hand, and executive supervision and accountability on the other. Corporate governance codes have been incorporated into the rules of many stock exchanges and compliance has become a requirement for listing. They have developed and reinforced good governance structures. But have they changed corporate behaviour? 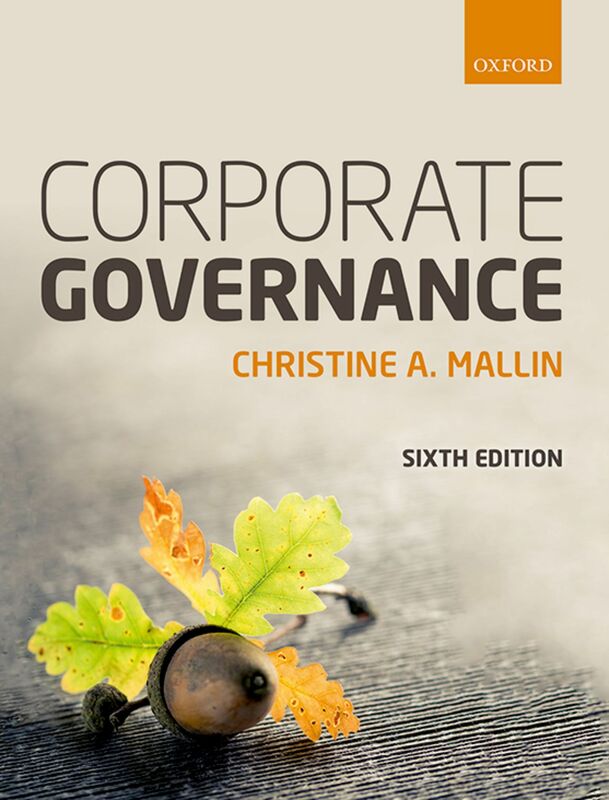 The corporate governance codes have certainly been a force for improving governance structures, procedures, and reporting. But the codes have not changed perceptions of corporate behaviour. Consider a few cases. BP, the oil company, published policies on corporate social responsibility and sustainability, yet lost over half its share value following the Deepwater Horizon oil-rig debacle in the Gulf of Mexico. Companies claiming to be good corporate citizens have been criticized for ‘aggressive’ tax avoidance by moving their profits, legally but questionably, through offshore tax havens. Despite companies’ declared commitment to corporate social responsibility, publishing ethics codes and compliance reports, concerns about business ethics are widespread and serious. Around the world, the behaviour of companies, the attitudes of their directors and the actions of key executives have come under the public spotlight. Fraudulent management in Australia’s HIH Insurance, the world-wide collapse of auditors Arthur Andersen, corruption in Italy’s Parmalat, allegations of bribery against BAE Systems in Europe, the rigging of Libor interest rates by British banks and, of course, excessive risk taking by financial institutions around the world that sparked the global economic crisis, provide just a few examples. Critics of business behaviour point to fraud, bribery and corruption. They allege price-rigging, pollution, and counterfeiting. They see arrogance, greed, and abuse of power by those at the top of companies. Some are cynical about business behaviour. How can you trust these people, they ask? Protestors challenge the basis of capitalism. For them, business ethics has become an oxymoron, citing corporate avarice, disparity of wealth, and excessive director remuneration that does not reflect corporate performance. Yet business exists by satisfying customers, creating employment, and generating wealth. Business provides the taxes that society needs to function. Many companies accept a social responsibility to be sound corporate citizens. They recognize that they have a duty to respect the interest of all the stakeholders who might be affected by their actions. Many also seek a sustainable, environmentally friendly approach to their operations. To those who doubt whether modern business can be trusted, they point out that business dealings and the very concept of the limited-liability company are based on trust. Not everyone is convinced. Since the 19th century, the underpinning of corporate governance has been company law, with ownership as the basis of power. Shareholder members of the company appoint directors, approve the directors’ reports and financial accounts, receive the report of the auditors, and approve dividends. The fiduciary duty of the directors is to be stewards for their shareholders’ interests. The reality, as we all know, is very different, particularly in large, international, listed companies. It is the directors, not the shareholders, who wield the power over the corporate entity, despite valiant attempts by institutional investors to regain the initiative. Meanwhile, interest in business ethics seems to be at an all time high. The subject of business ethics has grown significantly, with interest focusing on corporate citizenship, companies’ social responsibilities, and their relations with stakeholders. More recently, green credentials and sustainability have been added to the agenda. But business ethics is not just about corporate citizenship: business ethics are basic to running successful business. Ethics are hardly mentioned in the corporate governance codes, yet the examples just cited all raise ethical issues. They concern the way those companies were governed, how power was exercised over them, and the way business risks were taken. In other words, business ethics are inherently part of corporate governance. They are not an optional exercise in corporate citizenship. Ethics involve behaviour. Business ethics concern behaviour in business and the behaviour of business. Decisions at every level in a company have ethical implications – strategically in the board room, managerially throughout the organization, and operationally in each of its activities. Ethical risks abound, whether decisions are at the strategic, managerial, or operational level. Corporate entities, though granted many of the legal powers of human beings, have no moral sense. The board has to provide the corporate conscience. Directors set the standards for their organization, provide its moral compass. British-based Barclays bank was fined £290 million by US and UK regulators for colluding with other banks to rig the interest rates set for loans between them. Misstating the rate improved the financial standing of the bank and increased traders’ bonuses. The British regulator said that “the misconduct was serious, widespread and extended over a number of years…There was a cultural tendency to always be pushing the limits… a culture of gaming, and gaming us. The problem came from the tone at the top.” Every organization’s culture is fashioned by its board and top management. Ultimately, the board of directors and top management are responsible for the ethical behaviour of their enterprise. The board of directors with top management are responsible for establishing their company’s risk profile, determining the acceptable level of risk. Some companies accept higher levels of risk than others. Determining the acceptable exposure to ethical risk needs to be part of every organization’s strategy formulation, policy making, and enterprise risk management. With moral dilemmas in business it is often not a matter of right or wrong, but what’s best for all concerned, both in the company and among all those affected by its actions. Boards have to recognize issues and make choices. This is a function of corporate governance, which needs to be built on the bedrock of business ethics. It seems likely that future codes of corporate governance will find their foundations in ethics.